You have to answer those 10 questions first! 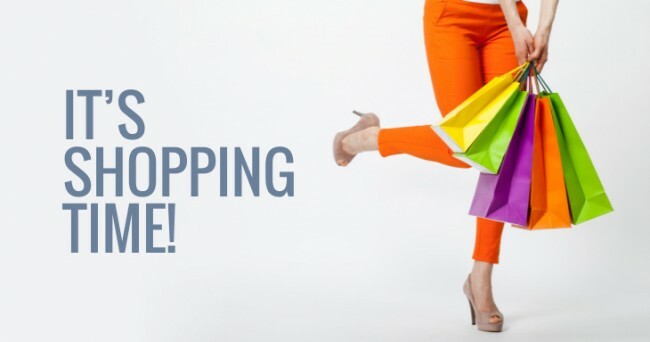 Women do love shopping...shopping loves women too! Women always go shopping but women always have nothing to wear!Why? Because it’s a known fact that the more you own, the less you wear! With so many gorgeous bags, shoes, and clothes out there, how could it not? But, to ensure that you are shelling out your hard earned cash for the right reasons, there are a few things you should take into consideration before buying any thing expensive! We tried to offer you help with a set of 10 questions to be answered first before going to the casher! Do I already own something like this? Take a deep breath,look at the thing your are about to buy,does it resembles any thing You bought before? if the answer is yes! So you don't have to spend your money on a repeated thing anymore! if the answer is no go for the next question. Am I addicted to fast fashion? Women! We are totaly guilty for shopping often for things we probably don’t need We like to use the mentality for fashion items.For example If you know you’re someone who likes to own a huge variety of bags, maybe buying a super-pricey one isn’t the right move.You got it! Will this item cause problems for me! Will this expensive purchase cause real problems for you down the line? Meaning,it's too much for your budget that your phone bill or student loan payments won’t be met this month? The good way to deal with this Is to let them be for now, and start saving a little every month so you can eventually buy them guilt-free! If the label was cut out, would it still be my taste? Most designer things are beautiful but if you’re buying simply for a label and the item isn’t really your taste, well, isn’t that silly? If Instagram didn’t exist, would I still want it? Are you buying that because you really, really love it, or because you want others to know you have it and to be able to post them to social media getting more followers and likes!! If the answer is no, you might have some thinking to do. Is this an impulse buy? Are you do you really need it or you decided to buy it after receiving a message that there is a promotion 50% off! Will I realistically use it often? There’s nothing wrong with treating ourselves to special occasion pieces now and again, but with truly expensive buys it’s worth calculating the cost per wear especially if the item might not fit into your lifestyle. Am I buying it because my favourite star had it? Spend your money on something you really want, not something you really want to copy! Unless you’ll be in New York during Fashion Week and want to get snapped by a street style photographer !!!! Can I get it for less? check out department stores, boutiques, and every online shop you can find am sure you will find the same thing in a reasonable price! Is this item a one-season wonder? It only fits one collection even for summer or spring! You may not be able to wear it the next year for being old fashioned? Ladies, keep those questions on your minds on your way to the store! Why do girls wear makeup? Things women do which drives men crazy! Why Relationship Commitment is Hard for Men: Is It About Women or Men? About Stereotyping and Science: You Don’t Look Like a Scientist?